I shared this heartfelt message with some special women friends this holiday season and now it’s time to share it with my wise and wonderful Amazing Grays family of women. According to many of the indigenous tribes and Spiritual Masters, a 13,000-year cycle of patriarchy came to a close on December 21, 2012. On December 22, 2012 we began a new cycle –this time lead by the Divine Feminine. Men and women alike are being called to balance the masculine and feminine within our selves. It’s time to unplug from the ego-based power over others and step into power that is tempered by the Heart. Women will lead the way. In fact, according to the Dali Lama, it is women from the western world who will be most instrumental in shepherding in the coming changes we so desperately need. 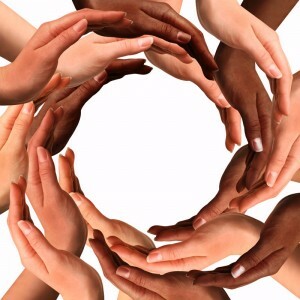 It’s time to turn on our heart-lights, join hands and collaborate to course-correct a world gone amok. What are you going to do differently this coming 13,000 years. It all begins with remembering who you are. Not from the head… but from your heart. This entry was posted on Monday, December 31st, 2012 at 12:00 pm	and is filed under AMAZING GRAYS Blog. You can follow any responses to this entry through the RSS 2.0 feed. You can leave a response, or trackback from your own site. Ιn any caѕе I’ll be subscribing for your rss feed and I hope you write once more very soon! Your blog caught my eye! Love the word “Amazing” as I entitled my book “Here Comes Amazing You” and think we are in sync! I feel like my “authentic self” and very liberated now.